(un)Sustainable Comments: Life Work; Balance? 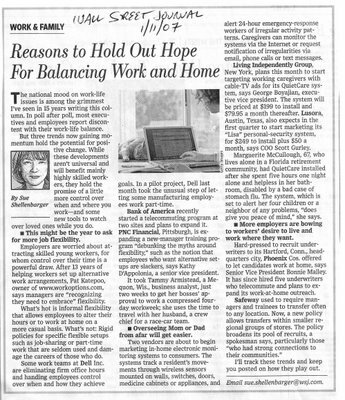 OK, so you probably cannot read the attached article from the Wall Street Journal. What caught my eye about it was that it echoes the sentiments of an article I read in The Economist in their Special The World in 2007 issue. 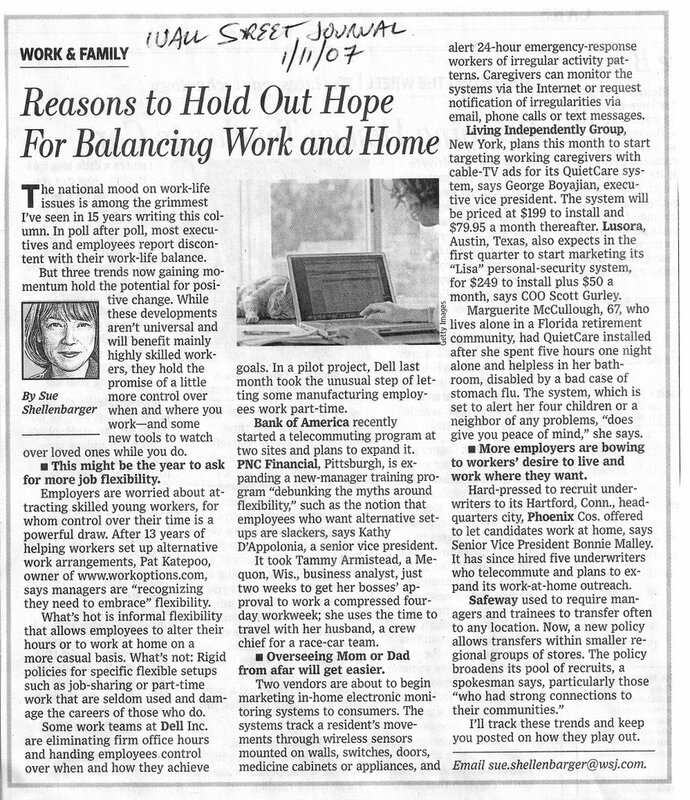 Seems that we have nothing to expect but more hours and less flexibility, thought the WSJ article offers up some hope. Now, when it comes to discussions of sustainability, isn't the ability to mesh one's career with one's "life" something to take into account? If you don’t have an office of your own already, 2007 may be the year in which you finally get one. Your new office won’t be large, as your company will remain devoted to keeping costs low. There will be no shiny mahogany desk, and the partition walls may be flimsy, but there will be a door and it will be acceptable for you to shut it. This is to make no prediction about your personal career advance: your office will simply be a sign that some of the old ways of working are on the way back. The Economist; more "Green America"